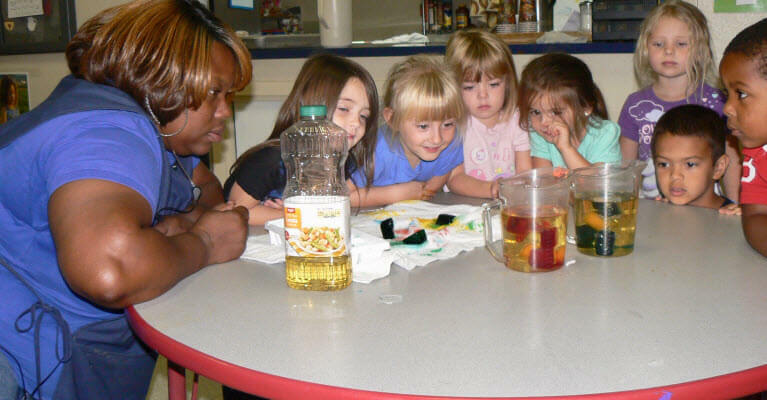 Your child learns through exciting experiences and hands-on learning. Your child learns and grows among like-minded children. New experiences every day! Your child will blossom with the help of our professional staff and cozy classrooms. 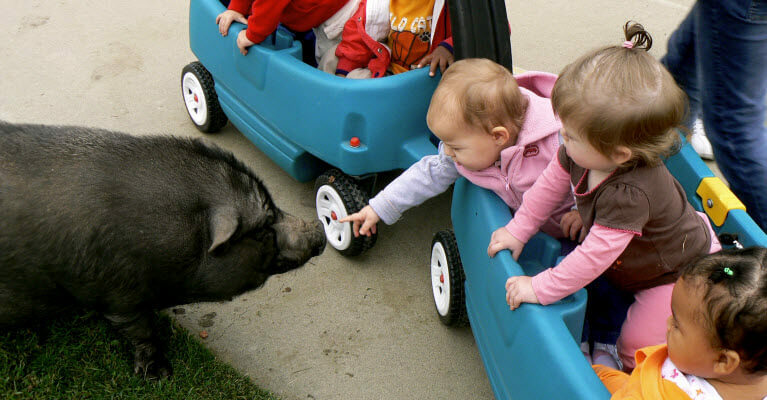 Create Memories On The Way To Kindergarten! Each day is another step on the road to Kindergarten, and we see them all the way through! 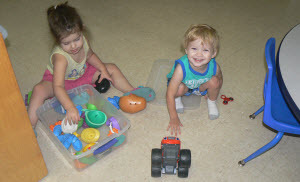 Develop social skills and imagination alongside friends! Find out what awaits for your child's development! 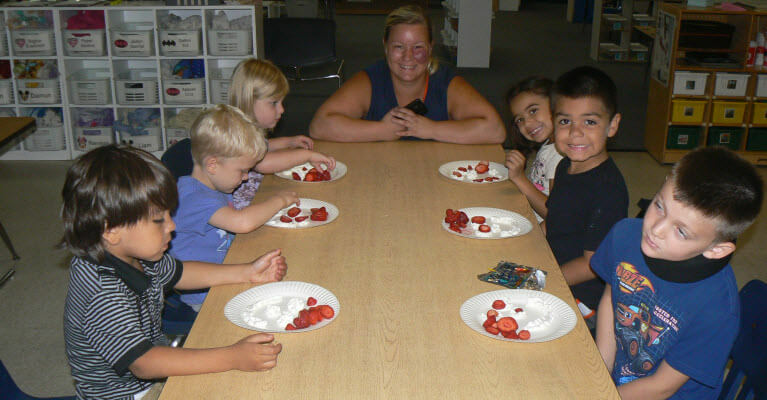 Your child's road to Kindergarten begins here with us! Get them prepared for the journey that lies ahead today! We are living in a very exciting and changing world. We need to prepare our children for changes ahead when we can’t even be sure of what those changes are ourselves. We need to prepare our children to be thinking, empowered individuals in order to meet the changes that await them. By using active learning experiences, we help children produce ideas of their own. 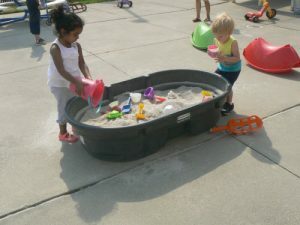 The staff at Something Extra Preschool & Childcare works hard to provide an environment in which these active learning experiences are available while the children have fun and build great friendships. The children are also provided with nutritious meals cooked on site, further helping in their development. We believe that children are wise, thoughtful, and reflective. They are astutely observant and sensitively aware. They are highly intuitive, resourceful and able to make cognitive leaps of insight. 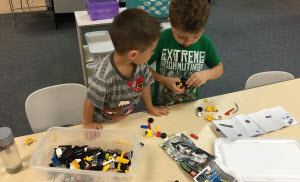 We want children to leave our school feeling comfortable and confident that they can handle changes that come their way, and to be able to function successfully in the future. Children are encouraged to make choices and come up with ideas, these choices and ideas are respected by other children and teachers alike. Parents don't always have schedules that follow the typical Monday through Friday 9-5. 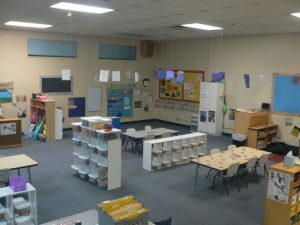 We offer flexible preschool and daycare schedules to fit your needs. 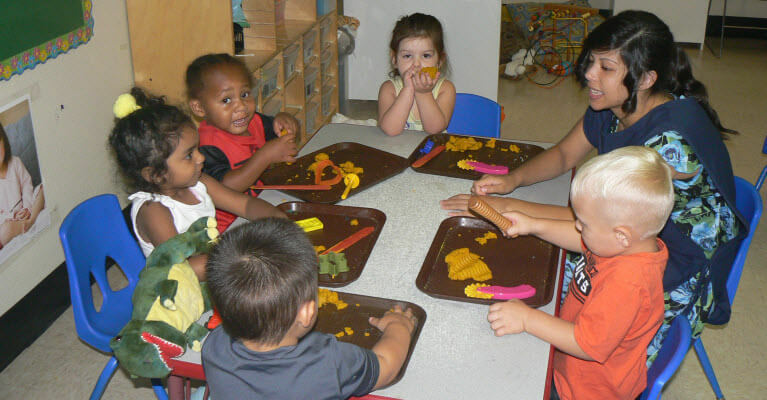 We provide care for Infants, Toddlers, Preschool, Pre-K, and Kindergarten children. Something Extra's center is open Monday through Friday from 6:30 a.m. to 6:00 p.m. excluding holidays. Come in and find out how we can help your child grow while helping you with your busy schedule. Something Extra is conveniently located near Dudley Elementary and serving the communities of Antelope, Roseville, North Highlands, Elverta, and the surrounding area with easy access to I-80. 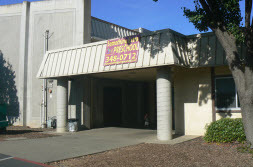 We encourage you to come visit us at our school in Antelope and see how we can help you by taking care of your precious child and help your child prepare for life ahead.